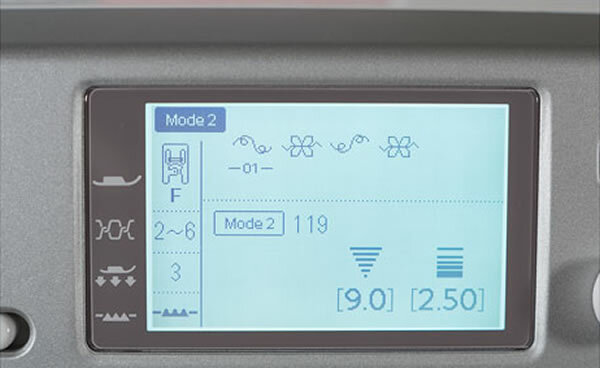 How is the Janome 6700 different from the Janome 6500 or 6600? 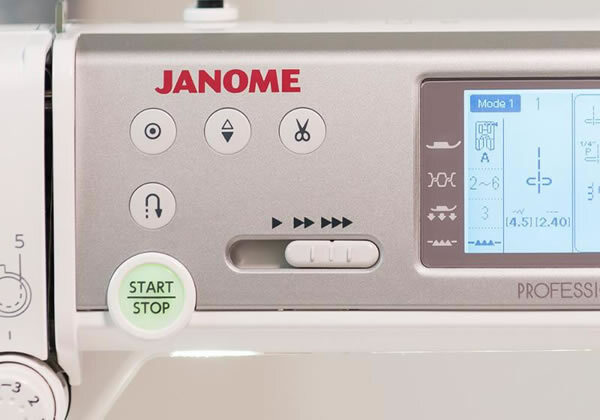 The Janome 6700 has been designed on the semi-Industrial Flat Bed like the 6500/6600, but with more bed space. Now 10 1/4″ from the needle to the inside of the arm. 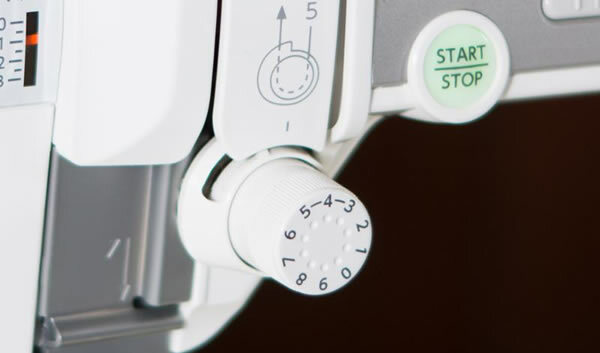 The 6700 has a slimmed down cover over the sewing bed to give a better view of the sewing arm and more room for changing the needle. In the past to keep the Awesomness of the 6500/6600 we had to accept not having other superior cool feautres. Now we can have our cake and eat it too. 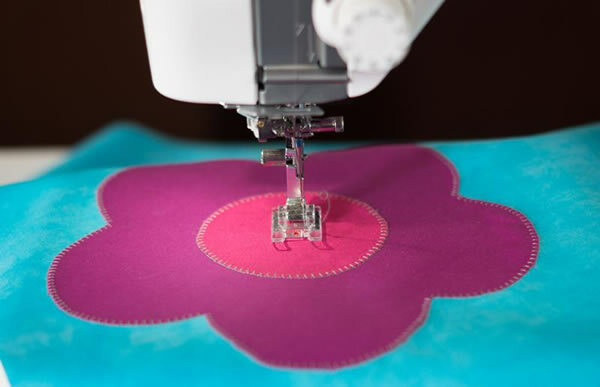 The 6700 now has a 9mm wide zig zag so you can now do all the super cool extra wide decorative stitches, more lights for shadow free sewing. and acufeed flex so now you can change between your acufeed feet without a screwdriver. 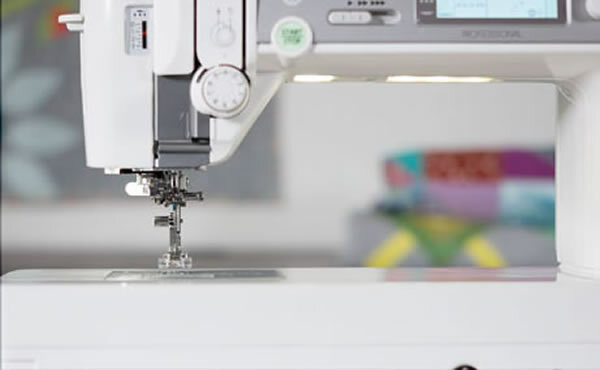 We still have our great two stationary stand up spool pins and fold down thread tree and the amazing one hand instant needle threader from the Horizon 9400. The independent bobbin winder motor and the industrial tension unit that we are used to for ease and reliability are part of what makes this such a great machine. Now we have a snap on/off needle plate for ease of cleaning our hook area so no more screwdrivers to get our needle plate on and off. We now have an industrial 1/4″ foot for the machine as well. 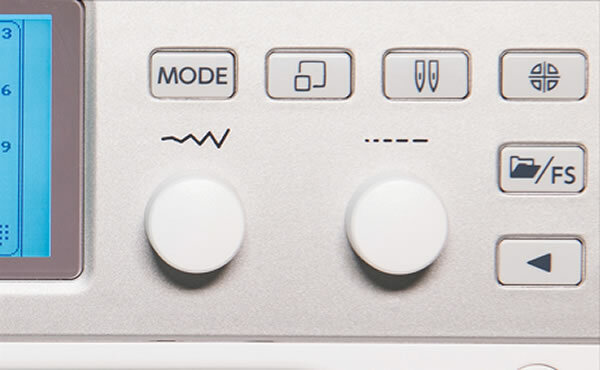 One of the great features of the 6500/6600 was its cam power and in the 6700 that has not diminished. 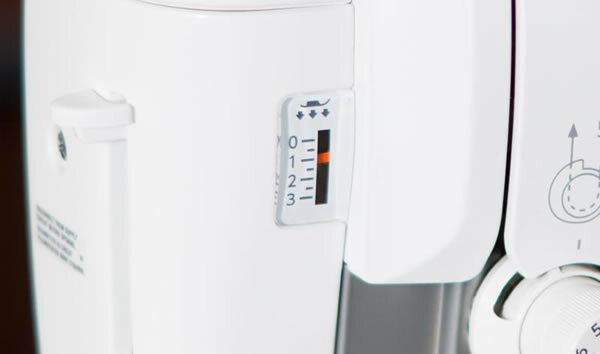 In fact the power has been increased, we have increase the power of the motor by 30%. 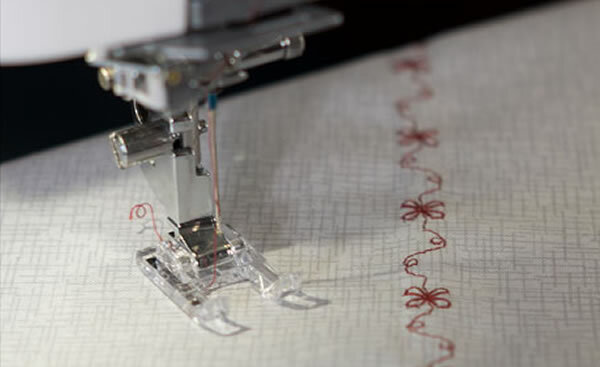 This means we can now sew in straight stitch at 1200 stitches per minute and zig zag at 1000 stitches per minute. In the 6500/6600 we capped out at 1000 and 800 stitches per minute respectively. Come and test this machine, you will love it as much as we all do. 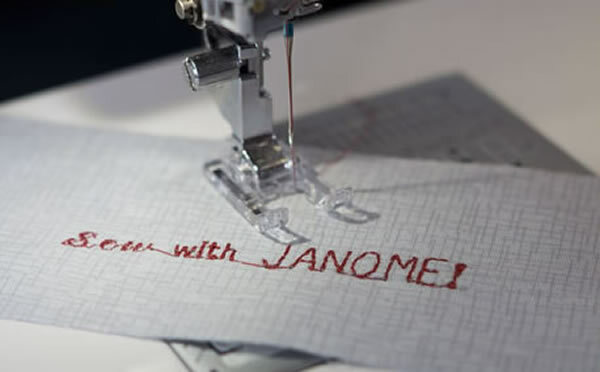 Janome’s exclusive AcuFeed Flex™ fabric feeding system moves layers of your project together under the needle with perfect precision from both the top and bottom. 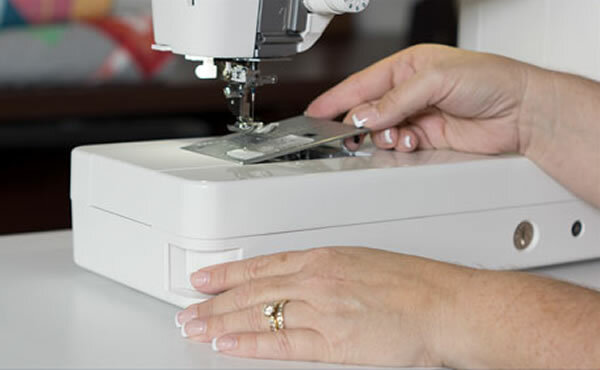 This feature works great for everything from piecing to hemming to quilting and any sewing requiring precise control. 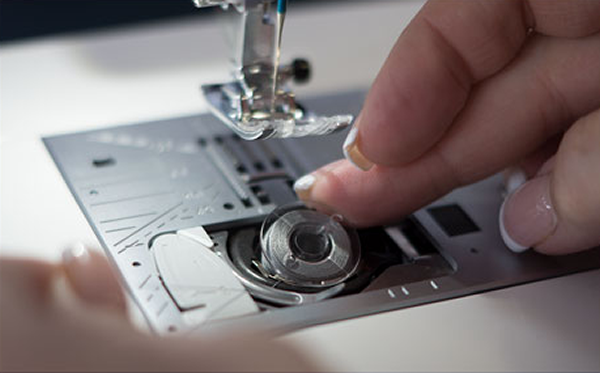 When using one of the three stitch plates that come with the 6700P, it’s easy to change out with One-Step Needle Plate Conversion. 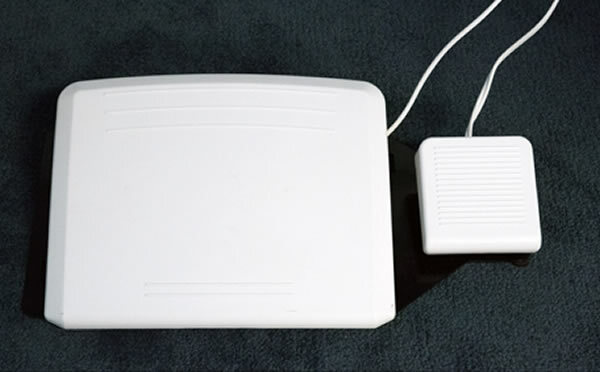 Simply push the lever to release the plate and snap a new plate in place with no screws or tools necessary. Threading can’t get any easier. 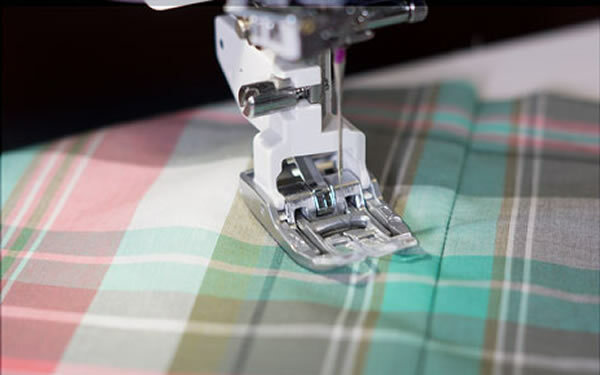 Set your thread, push the lever, release and sew. 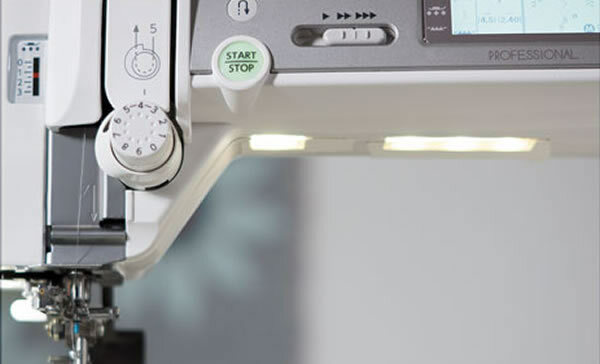 The Superior Needle Threader’s advanced design feeds the thread through the eye of the needle with precision and accuracy every time. 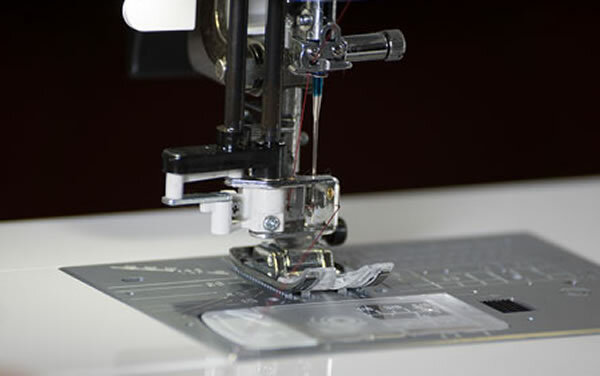 The direct stitch selection keys on the front of the machine are pre-programmed with commonly used stitches, but have the added advantage of being able to be custom programmed for your favorite stitch patterns. 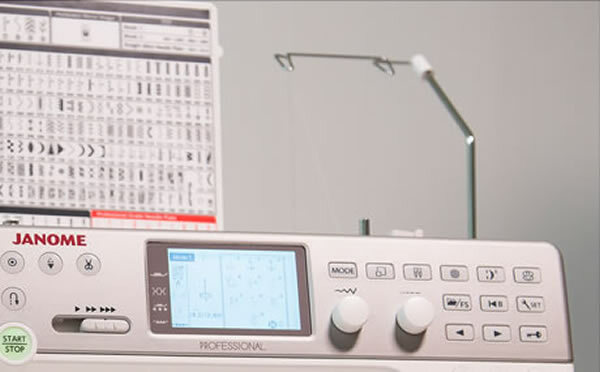 Your selections are easy to reference on the bright LCD screen and are saved for future sewing sessions. 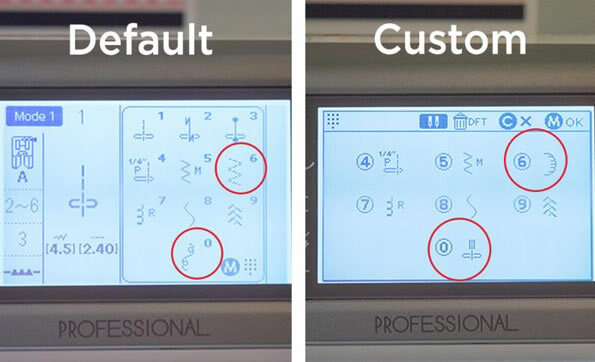 It’s easy to return to default settings or change up your custom menu. 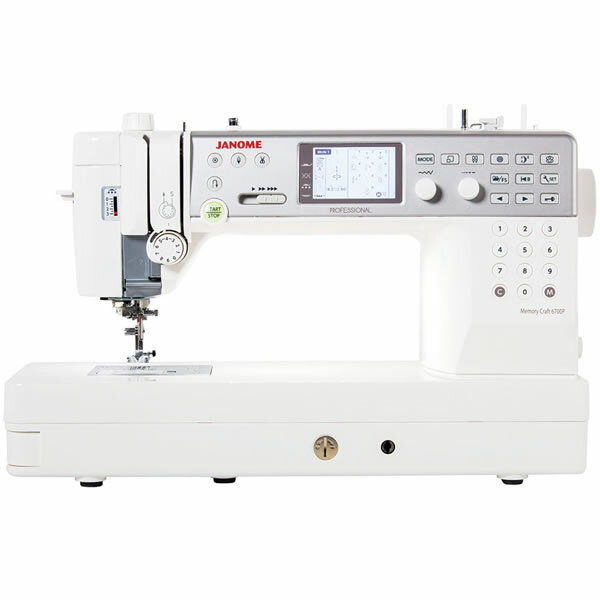 This entry was posted in Machine Service and tagged Janome 6700, Janome 6700 Sale, Sewing Machine Sale by admin. Bookmark the permalink.